Canyon Diablo, Iron, USA 94.5g; Sold. A tumbled specimen to reveal its white iron beneath, but loads of character places this Canyon in a rather menacing look. 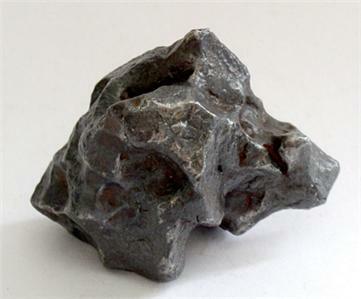 Ebay auction of meteorites4sale, 2008.